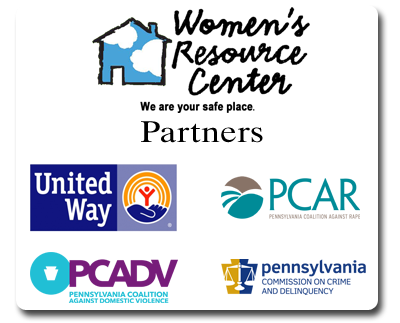 WRC employs full-time Counselor Advocates in its Lackawanna and Susquehanna County offices to work with teen and young adult victims of dating violence, sexual assault, domestic violence, and stalking. These Counselor Advocates provide short-term crisis counseling at WRC offices or in local schools, colleges, and universities. Accompaniment to medical, police, and court proceedings related to domestic violence and sexual assault is provided. Counselor Advocates are available to provide educational programs for community clubs, professionals, classrooms, and other groups about dating violence, sexual assault, domestic violence, and stalking at no charge. Additional information and resources are shared regularly on Facebook and Twitter at TeenWRC and @TeenWRC. In Lackawanna County, call the WRC hotline at 570-346-4671 if you or someone you know is a victim of dating abuse, sexual assault, domestic violence, and/or stalking. In Susquehanna County, call 1-800-257-5765 for services. Advocates in both counties are available to provide outreach and education on the dynamics of dating violence, sexual assault, stalking, and digital abuse to schools and programs working with teens and young adults throughout our communities. Please call today to schedule a presentation.